Cpu: Ryzen 5 2600 I got this when it was $150 on amazon and for that price you’re getting 6 cores and 12 threads. I’m no noob at overclocking, got this bad boy to 4.2ghz stable with air cooling and didn’t crash while cinebenching it and stress testing it. However, I keep it at 4.1ghz because the jump to 4.2 gets too hot while 4.1 never goes over 50 Celsius while gaming. It’s amazing value for the money. Gpu Vega 64 So the story is great! I bought a 1070 for $200 out of pocket. Traded it with $50 for a Vega 56 because the guy was stingy but then I sold it for $325 and bought this Vega 64 for $350 locally, unopened. For $350 it can’t any better for price to performance. I am blown away with this card. Reference cooler is a lil loud but I don’t care because all the power and I use headphones anyways. Motherboard: Asrock x470 Gaming k4 Got this used from a local fellow enthusiast who taught me a lot about ram timings and stuff. Anyways, I got it for $120 and it’s a beautiful board. I give it to the 8+4 pin cpu connector that allows me my juicy 4.2ghz stable on my 2600. It has great rgb lighting and I love the gray tones to it. Does everything I need it to plus I couldn’t pass up the good used price. Memeory: t force rgb I want trident z rgb but those are so expensive. These are just as beautiful and fast and much better value. I wanted 16gb but sacrificed that for a better gpu so I ended up with 8gb. I plan on upgrading. It does overclock nicely and I leave it at 3200mhz. Case: nzxt h500 My first real build was in an s340 OG case. So I wanted to have some nostalgia so I got this case. It’s absolutely beautiful for under $100. 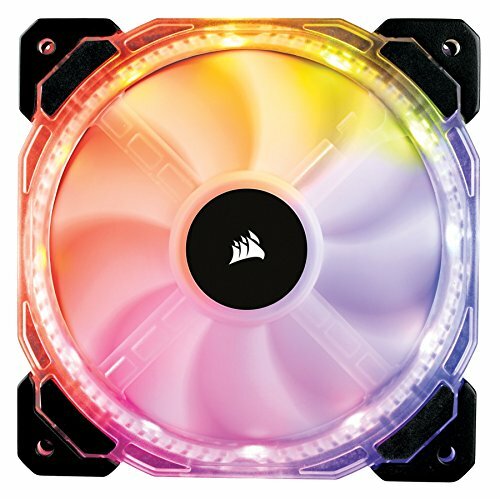 Airflow is good but can be better. I got it purely for aesthetics and I could not be happier with it. Storage: WD m.2 ssd Pulled this from my gaming laptop, I don’t use any storage so it’s good for now and saved me money. It’s fast and discrete. Cooler: h7 quad lumi Needed something pretty and quiet. This is a great cooler, a little expensive for the size but I didn’t care because I wanted aesthetics and my cpu is only 65watt so I didn’t need a beefy cooler anyways. Keeps heat away very effortlessly with 4.1ghz. Fans I got purely for aesthetics and they’re better than stock anyways so it was worth it. The monitor I got locally for $150 so it was just a killer deal. I love this monitor and the 75hz is perfect for games that are harder to run but the Vega 64 is no slouch at 1440p so I never drop below 75fps anyways. 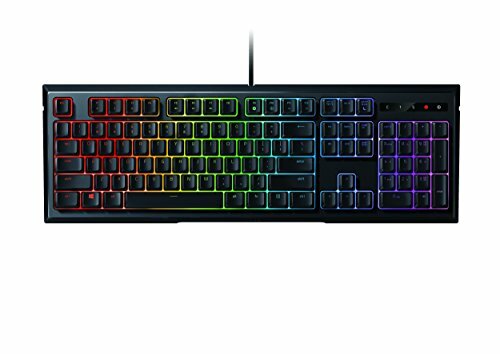 I got the keyboard because I wanted something with rgb but good quality and Razer is a well known company and I got this keyboard for $60 on sale, the keys aren’t as annoying as real mechanical switches so I enjoy their sound. More pictures please, this build is really clean! I agree, would love to see more pictures of this build! It looks really awesome!